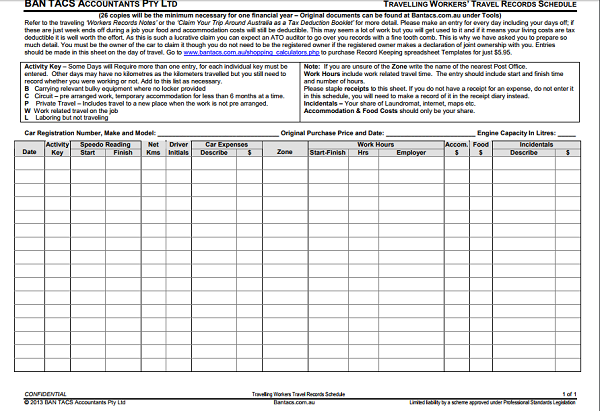 These companion notes should be used as an adjunct to ‘How to Claim your Trip Around Australia as a Tax Deduction’. 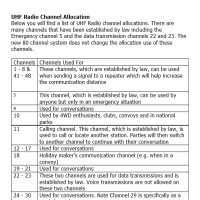 A 3 page response to FAQ’s. 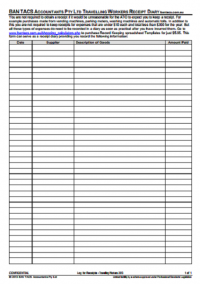 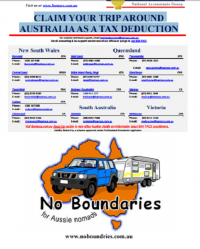 Along with all other items in this store relating to Travelling Worker Tax, this publication is free to download and print as required. 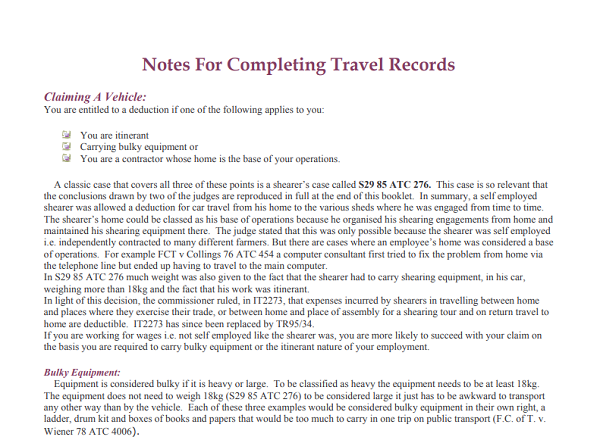 NOTES FOR COMPLETING TRAVEL RECORDS are companion notes to assist in guiding you through the ATO requirements that you may be bound to in recording, and making claims in relation to travelling worker tax. 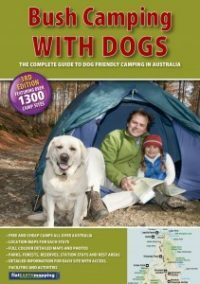 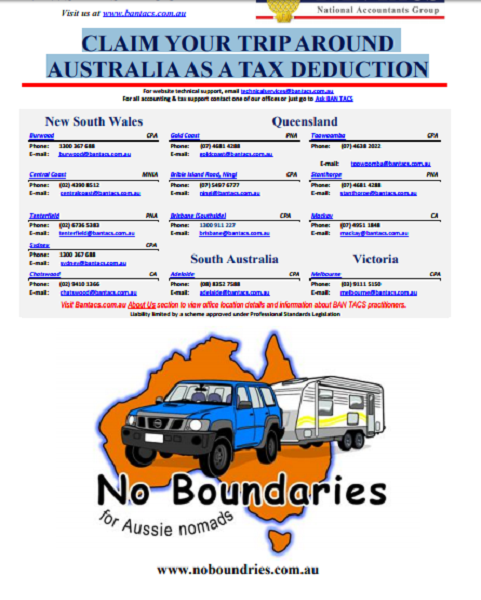 You do need to read it as an adjunct to the free booklet, ‘How to Claim your Trip Around Australia as a Tax Deduction’ It doesn’t have all the details, rather it is 3 pages of concise information, designed to answer FAQ.